The DofE Diamond Challenge is a year-long special Diamond Anniversary activity to raise awareness of The Duke of Edinburgh’s Award Charity, get people doing something positive and raise some money for the DofE. Throughout 2016 people across the UK will be asked to choose their challenge from three DofE-inspired themes. Learn a skill, embark on an adventure or conquer a personal challenge, and raise a minimum of £60 (for 60 years) for the Charity. 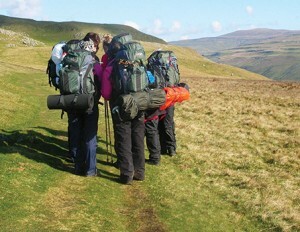 By experiencing something new, as a ‘Challenger’ you’ll step to the edge of your comfort zone, have fun and find out what you are capable of; all whilst giving vulnerable and disadvantaged young people, from your Region or Country the chance to turn their lives around through their Duke of Edinburgh’s Award.